We’d love your help. Let us know what’s wrong with this preview of Purple Turtle - How to Become a Billionaire by Lucas Remmerswaal. Imagine knowing the “ultimate secret”? How to become a billionaire? If you could ask Warren Buffett one question, what question would you ask? Did Purple learn the “ultimate secret” and was he able to fully control the 13 habits like the Oracle? 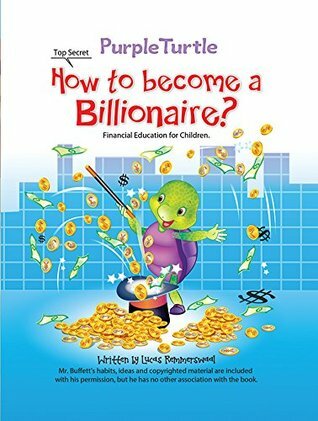 To ask other readers questions about Purple Turtle - How to Become a Billionaire, please sign up.